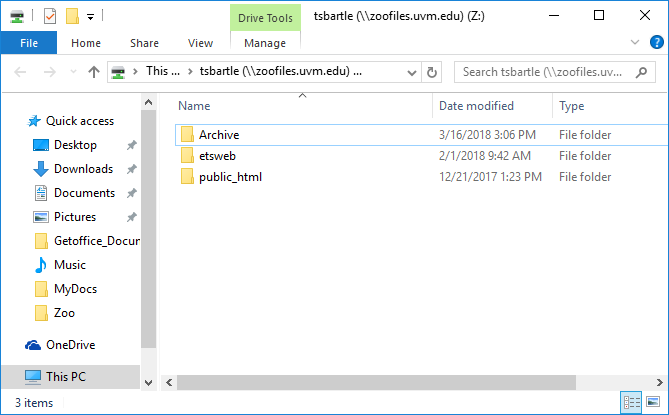 How-to guides for connecting to the Shared drive, MyDocs folder, Zoo, and Netfiles. ETS maintains two primary file services. 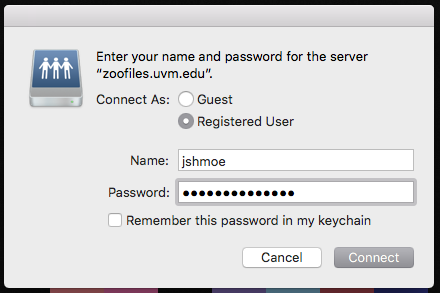 The first service is hosted on the Zoo unix environment, and is available to students and employees. 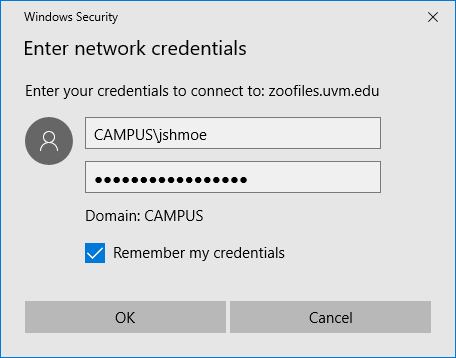 The second service is hosted on Windows servers, integrated with the CAMPUS Active Directory Domain, and is available to employees only. 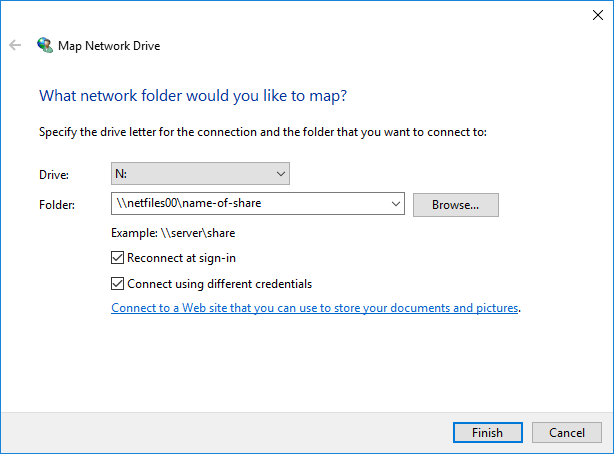 Connecting to a Network Folder is easy, and the guides below will walk you through the various ways you can connect. You must use the Cisco AnyConnect VPN Client when mapping Network Folders from Off-Campus. Ad blockers tend to prevent viewing of files. Consult your ad blocker’s documentation on how to “whitelist” or “trust” the WebFiles page, or use a browser that isn’t using an Ad blocker. 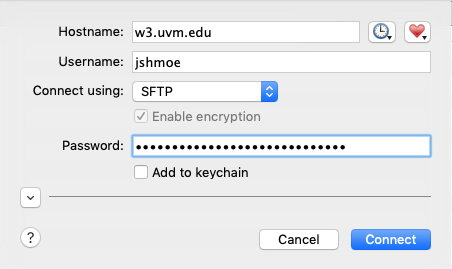 Webfiles is available to current Students, Faculty, and Staff. 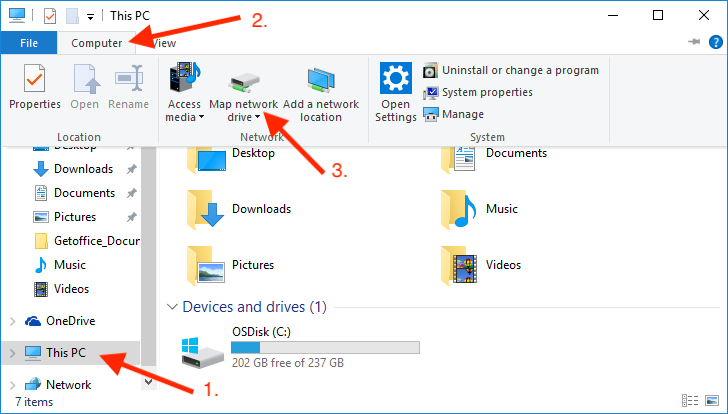 Your network folders will appear in the left pane of the browser. 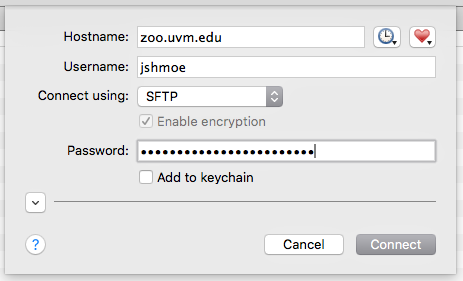 Access to a departmental shared folder is provisioned to current UVM Employees. 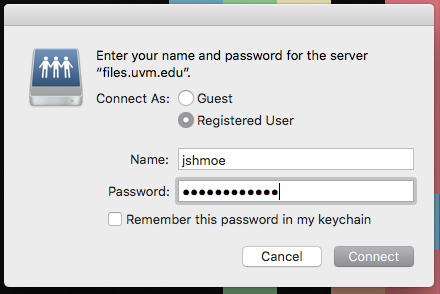 If you require access to a shared folder, please have your supervisor email helpline@uvm.edu to request access on your behalf. Press the + E keys on your keyboard. 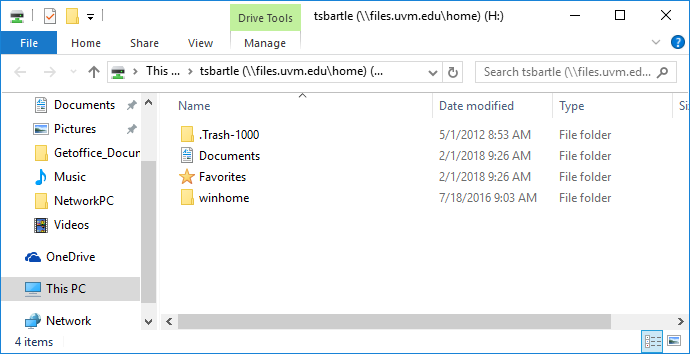 This will open the file explorer. Select This PC, then click on the Computer tab. From the toolbar that appears, click on Map network drive. 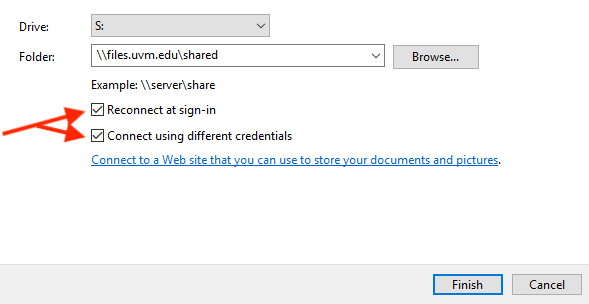 After authenticating, your shared folders will appear in the file explorer. Access to MyDocs is provisioned to current UVM Employees. After authenticating, your MyDocs folder will appear in the file explorer. 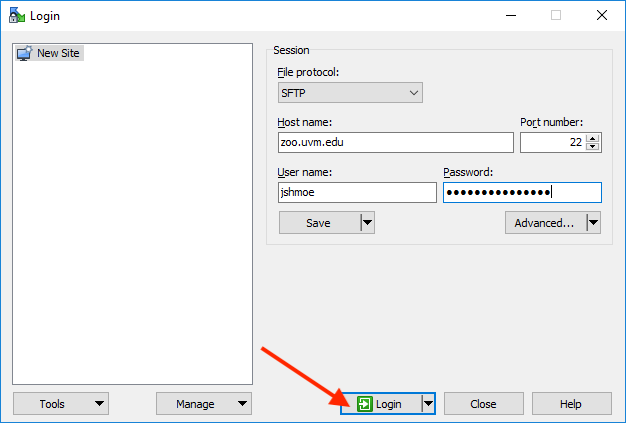 After authenticating, your Zoo folder will appear in the file explorer. 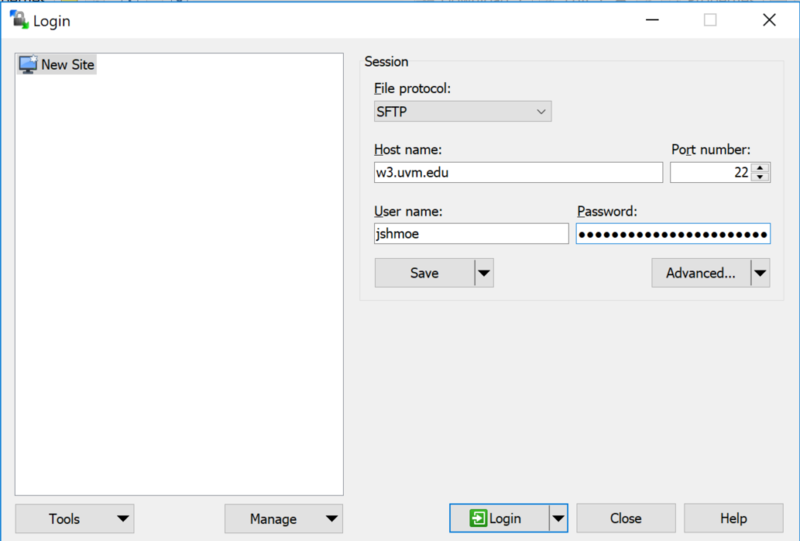 If WinSCP is not installed on your machine, you can download it here. 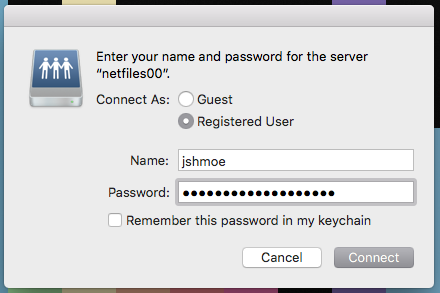 After authenticating, your Netfiles share will appear in the file explorer. 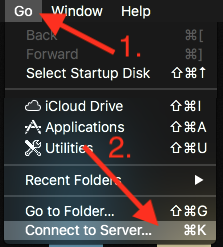 You can show hidden files in macOS by pressing Command + Shift + Period while in the Finder application. If Fetch is not installed on your machine, you can download it here. We’re unable to provide distro-specific guides due to the considerable variation of desktop environments and package management between Linux distributions. Please use the server paths below as a reference for connecting your Linux machine to your desired network folder.